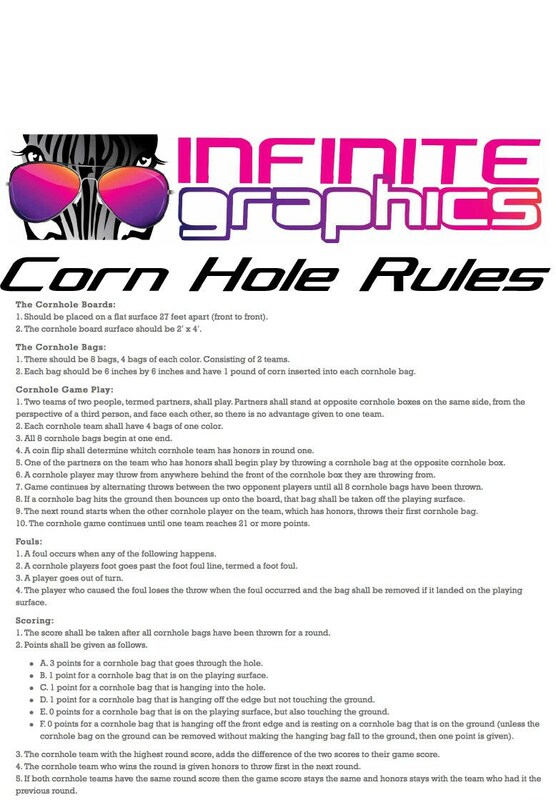 From the backyard to tailgating, Infinite Graphics will make your Corn Hole boards look amazing. 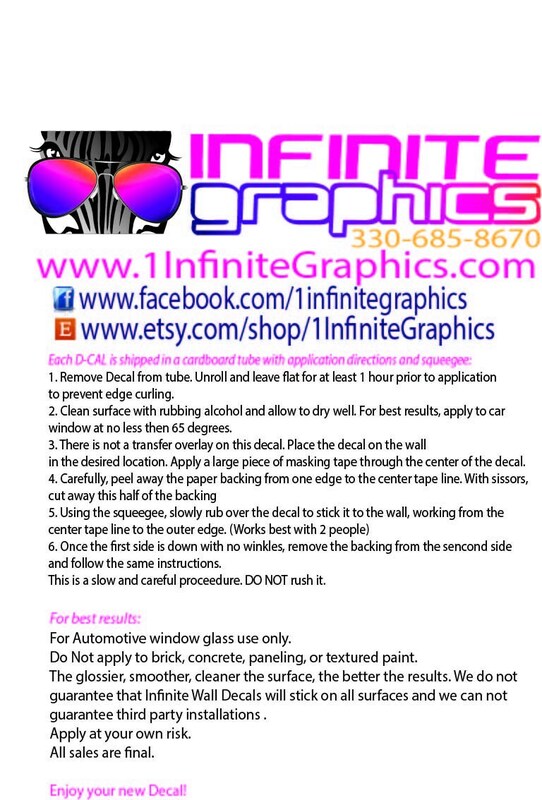 Decals are printed on high quality, adhesive backed, matte vinyl. We do not cut the hole to assure perfect fit. Some of our customers opt for the clear gloss laminate for extra protection and easier application. 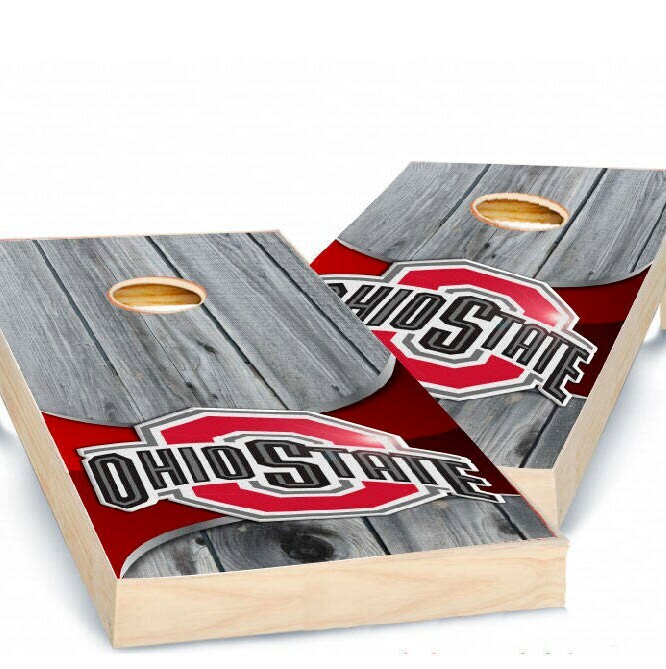 *We recommend the corn hole boards have 2 coats of gloss polycrylic that has cured for 2 weeks prior to vinyl application. Small: 20"x32", 6" hole, recommended bag weight is 12oz. Tailgate: 24"x36, 6" hole, recommended bag weight is 15oz. 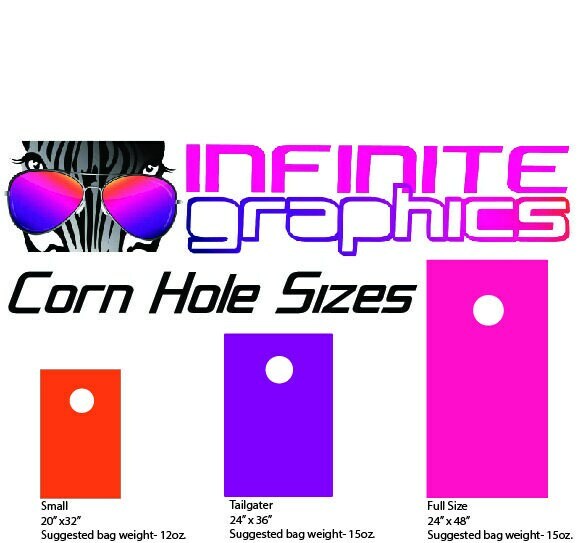 Full Size: 24"x48", 6" hole, recommended bag weight is 15oz. 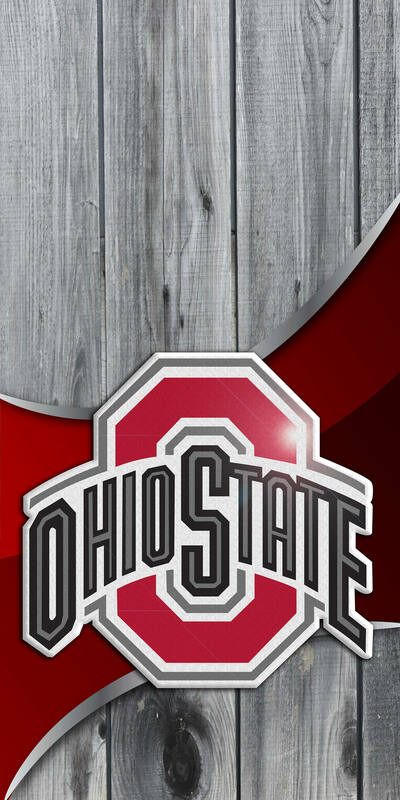 1- Magnetic Scoreboard with Player Pieces 3"x16"
Note: Boards & Bags are NOT included. Guarantee covers manufacturer or shipping defects, it does not cover application error or damage.